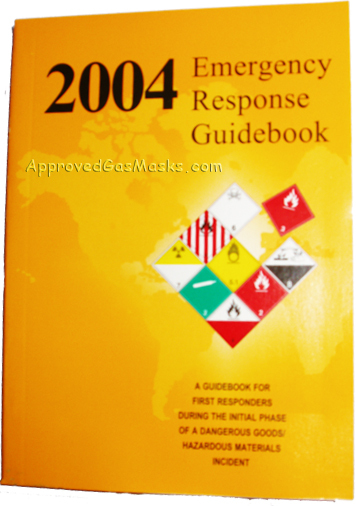 An essential guidebook for first responders during the initial phase of a dangerous goods / hazardous materials incident. 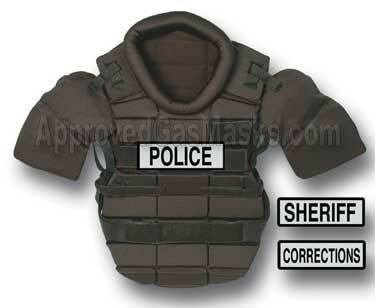 This guidebook is a must-have reference for police, hazmat or military first responders. 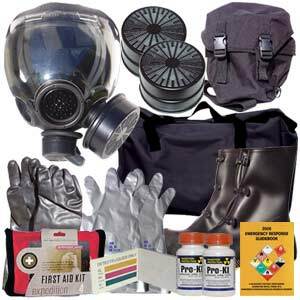 The information contained in this guide should be required reading and be readily available to all personnel in the event of a hazmat, WMD, chemical, biological or nuclear (NBC) emergency. 1. An expanded explanation of the contents of the guidebook and how to use it. 2. An explanation of the term Toxic Inhalation Hazard (TIH) and its use. • Added illustrations for the Fumigant, Inhalation Hazard, and Marine Pollutant markings. 4. Charts for rail car identification & road trailer identification with recommended guides to be used. 5. A section on hazard identification codes displayed on some internodal containers from Europe and South America. 6. Updated yellow and blue pages that include shipping names and id numbers from the UN Transport of Dangerous Goods Modal Regulations/HM-215C. • Expanded the List of Water-Reactive Materials. 8. A section on criminal/terrorist use of chemical/biological agents. Numerically indexed and color-coded to help emergency responders find vital information fast. Available in a handy pocket size (4" x 5 1/2") softbound edition, guaranteed in stock. (Available upon request: CD-ROM, spiral bound and softbound full size editions; All editions contain the exact same content, call for pricing). Published by the U.S. Department of Transportation. Pocket size, 384 pages. Detailed regulatory information on 677 chemicals -- based on official NIOSH/OSHA occupational health guidelines. An essential guide covering all likely chemical hazards. 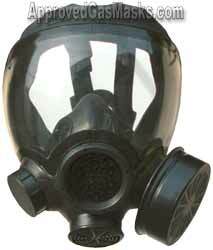 This guidebook is an invaluable tool for persons responsible for selecting appropriate protection (respirator selection, etc.) 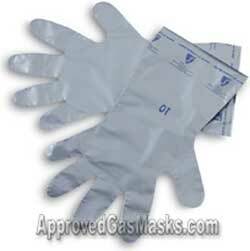 and for any individuals who needs to identify, or respond to chemical threats. The straight-forward format is easy to use by everyone. From civilians who understand the need for quick and accurate information regarding chemical hazards, to military personnel, police officers, first responders, hazmat teams, and many others, this is a highly recommended reference. For assessment of biological agents, please use the Bioterrorism response guide below. This portable reference book helps you respond to workplace emergencies, prevent overexposure to chemicals, and protect employee health. For each chemical, the guide covers permissible exposure limits, chemical and physical properties, health hazards, respiratory requirements, and personal protection. It also features a description of exposure systems and first-aid data. Spiral-bound, 463 pages, 9" x 4 3/4". Highly Recommended and Accurate Information. 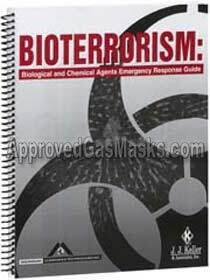 Gain a better understanding of bio-terrorism with this comprehensive guide to biological agents, first response procedures (scene and perimeter control, public protection) and decontamination systems. The threat of terrorism is real. And now more than ever, you need to think about the different scenarios that may impact your life, and the lives of your loved ones. Bio-terrorism, (including the announced release of a biological agent, the silent release of a biological agent, or some sort of hybrid event) is an example of those scenarios. The BIOTERRORISM: Biological and Chemical Agents Emergency Response Guide can help you gain a better understanding of this critical material. Biological Agents - Category A, B, C - Chemical Agents - Nerve Agents - Blistering Agents - Incapacitating Agents - Blood Agents - Irritating Agents - Potential Bio-hazardous Agents - Toxins - Decontamination - Law Enforcement Response to Chemical/Biological Terrorist Incident. Spiral-bound, 8 1/2" x 11", 268 pages. 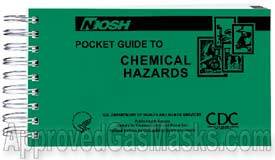 We highly recommended this handbook as well as the NIOSH guide above.